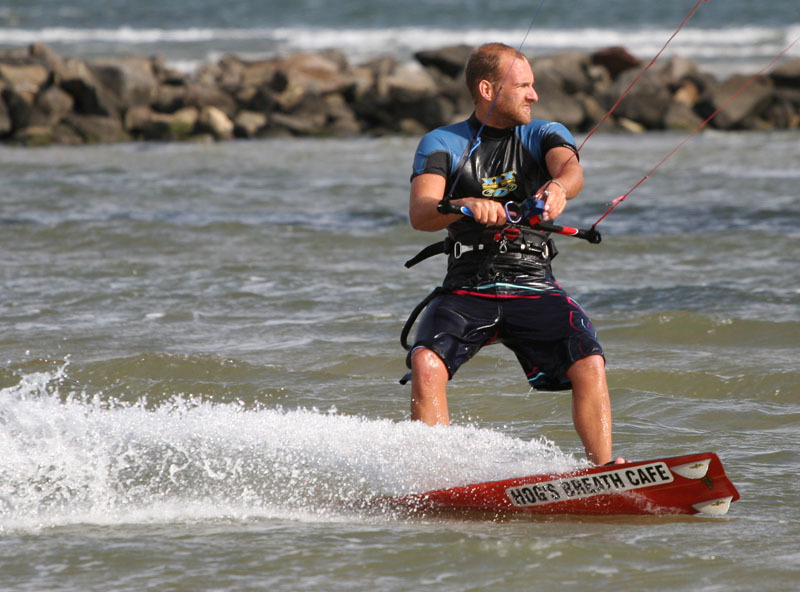 Kite Surfing has gained in popularity in recent times and the Melbourne bayside suburb of St.Kilda is a buzz with activity each weekend. The kites cost around $1000-00 Australian Dollars and it's not unusual for a kite surfer to own more than one. Watching these guys in action is a sight to behold as they go about their jumps and pursue speed across the water. All these photos were taken with my Canon 20D and 70-200mm f/4L lens on Sunday 19th February 2006. 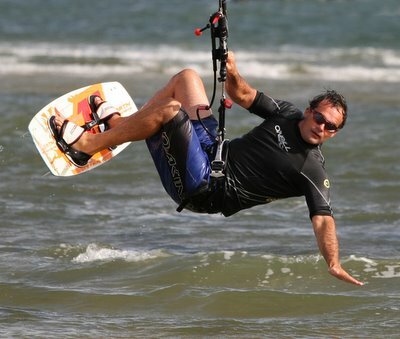 You have captured professional looking photographs of the Kite surfers. My favorite is the first one with the guy reaching down to almost touch the water.Great stuff. I must go down to St. Kilda. Glad you could drop in for a look at my article and photographs. Melbourne's bayside suburb of St. Kilda is a great place to view the kite surfers each weekend. The sport seems to be gaining in popularity by the week, so if you're ever down that way make sure you've got your camera with you to capture some great action shots. 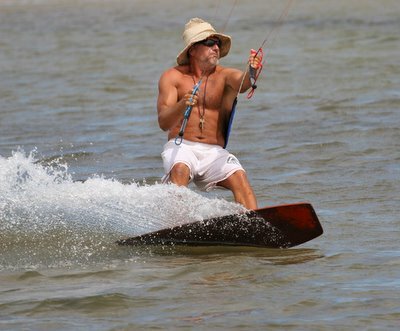 Darren, I suppose it's a matter of patience and knowing what you are doing with the camera that gives images like you have captured of the kite surfers. I can't help but notice the way the surfer crashes through the white water. An indicator that they are travelling at top speed. You have captured the pace extremely well. Love the action shots, keep them coming. Thankyou for your generous comments and observations. Photography is a recognised art that's learned in a patient and experimental mannner for most. The action evident in these photographs has been an absolute pleasure to capture. Coupled with the opportunity to exhibit and have them viewed by the public, thrills me no end. With the superb Canon 20D digital slr camera and the 70-200mm f/4L lens, it makes my task of capturing quality images all the more attainable. I've recently invested in quality equipment with a long term view to having my work published in various magazines, periodicals and newspapers. Your words are most encouraging and I'm heartened by you offering them. All the best to you and feel free to drop by this way any time.